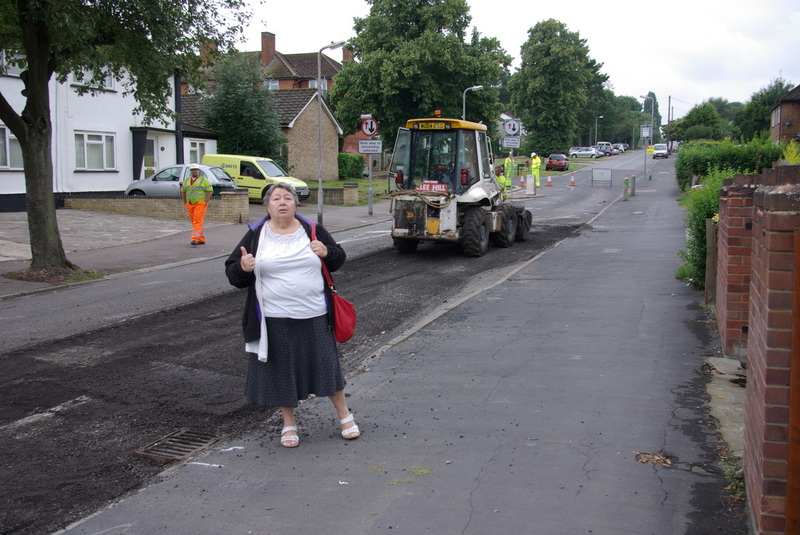 Remorseless pressure from your Labour team, led by County Councillor Joan King finally paid off when Herts County Council started major resurfacing of the road on 15 August. Throughout last winter your Labour team pointed out to the highways authority the appalling state of the road surface which was riddled with potholes in many places. Councillor King had promised funding from the local budget given to councillors to spend on local projects, but ultimately the county council decided the work required was so significant that it would pay for the work. “I saw the work getting under way,” said Joan. “Finally, after a lot of pressure, including phone calls, emails and meetings with highways bosses that I organised, work began,” she said. It has come to our attention that another political party, that has no councillors living in South Oxhey, is shamelessly claiming the credit for the long-awaited repairs! “Closing the road Gosforth Lane was inconvenient. 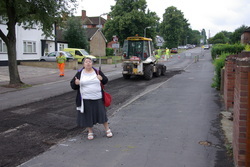 I know because I use it, but worth it in the end,” said Councillor Joan King. “It is a good example of Labour pressure paying off,” said Joan of nearby Blairhead Drive.